Omni-Sync connects your E-commerce systems, partners, suppliers, agencies, marketplaces and marketing campaigns seamlessly, and provides you with tools and functionality to explore new selling strategies, channels, and campaigns ideas. Rapidly and efficiently. Improve listings, category and price management. Eliminate out of stock sales. Get notified of activity across all channels. Scale from 1000 transactions to 1,000,000 per month. Our platform is designed to scale massively, ready to perform billions of sync updates per month. As a retailer, you want to list your own products as well as those of your suppliers across multiple channels, leverage the power of comparison shopping engines and product marketing channels to increase your sales. Omni-Sync Unlimited enables automatic, smart synchronization and publishing of your product catalog across channels, top marketplaces and leading marketing and social platforms, seamlessly and effortlessly. Rapidly connect your Backoffice and E-commerce systems with Omni-Sync through our OPS API. 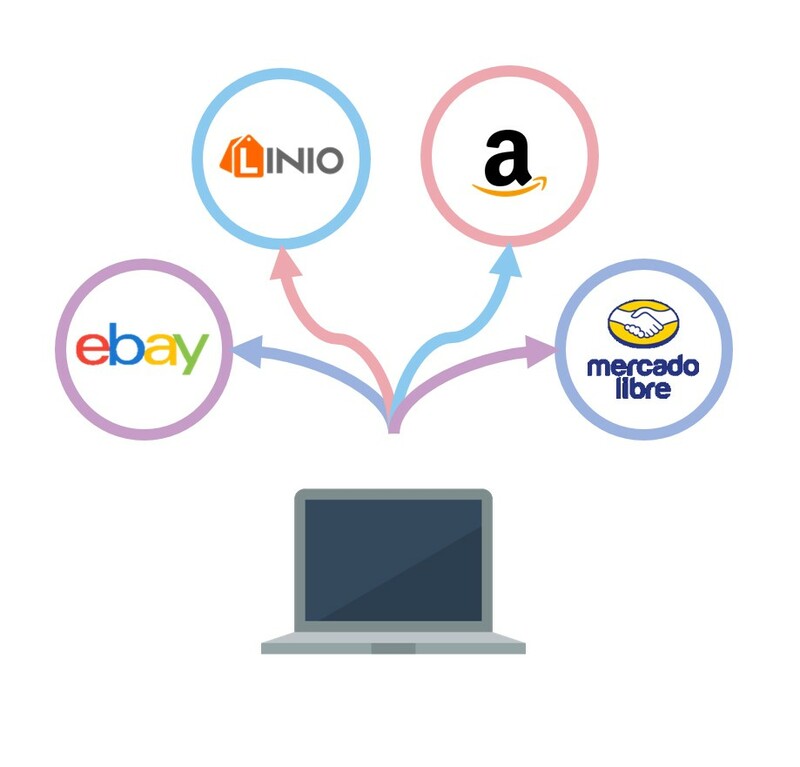 We have connectors for most popular ERP and E-commerce platforms to connect your catalog, inventory and business rules, or can rapidly create one thanks to our flexible API and Backoffice expertise. For dropshipping and marketplace operators, onboarding suppliers has never been easier; and they will feel the same way. Through self-service and advanced supplier tools you can take your vision to the next level of performance and scale. Omni-sync automates the bulk of work of managing your suppliers. It even empowers them to sell smartly through your marketplace or E-commerce storefront. Managing listings across all your channels and marketplaces is streamline with though our Marketplace API. If you currently sell on ANY marketplace, are are 90% ready to sell on ANY other marketplace we support and multiply your success. Sync listings from any marketplace to every other marketplace, automatically. Make batch changes to parts of the catalog in seconds, and see the magic of having it updated according to your rules. Track your entire marketplace operations in a single unified dashboard. Gain 100% visibility into sales and listings. Native plug-and-play advertising connectors, enable you from the first day of usage, to connect your live prices and availability from your store, to Facebook and Instagram advertising campaigns. Call-us now for more information! © Click2Sync. All rights reserved.